Lawrence M. Schoen | Alembical – 40% off sale! Alembical – 40% off sale! 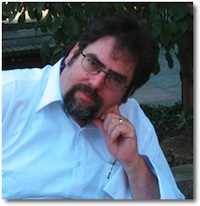 At the Nebula Awards this year I was having a chat with Jay Lake. We had both been nominated for the prize in the novella category, and he said the best novella he’d ever written was “America, Such As She Is,” published back in November, 2008. I had to agree (and not just because I was his editor for it). 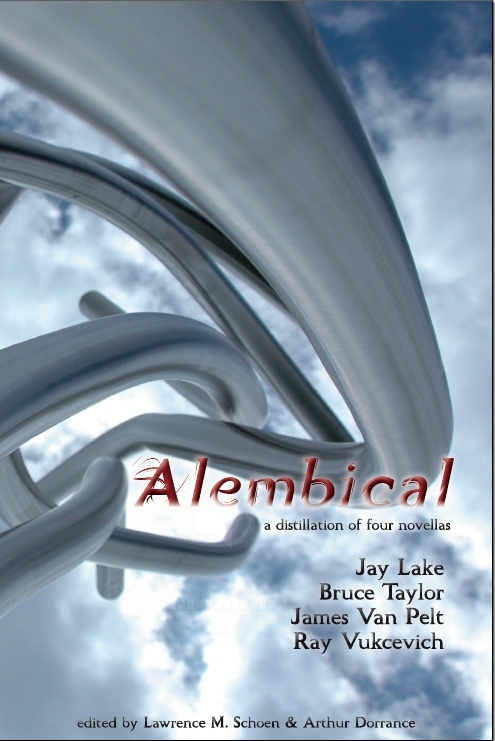 The work appeared in Alembical, the second book ever published by Paper Golem and the start of our series of collections of brilliant novellas. After I returned from San Jose, a quick check of the stock room revealed a surplus of the hardbound edition of Alembical, 50 of them. Recalling my conversation with Jay, I decided it was time for a sale. The list price on the book is $25. For a limited time, you can use the PayPal button below to order a copy of the book for $15, which includes the cost of shipping (US residents only). As noted above, I have only 50 copies available at this price. When they’re all spoken for, the PayPal button will redirect you to Amazon.com, where you can still buy the book, just not at this sale price.